Australian Recent Release: Inappropriation by Lexi Freiman. “A search for belonging in Sydney’s Eastern Suburbs turns into a riotous satire of identity politics in this wildly irreverent coming-of-age story” – Allen and Unwin. In her first days at a prestigious Australian girls school, fifteen year old Ziggy is thrust into an alienating social hierarchy that pushes her into the arms of her grade’s most radical feminists. The combination of her new friends, her slightly bonkers psychotherapist mother, an Indian guru and her own Holocaust surviving grandmother propels Ziggy into new understandings of gender, race and class, setting her off on a lively journey of self discovery. 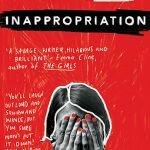 Inappropriation is brilliant new coming of age novel that is at once hilarious, uncomfortable and daring. 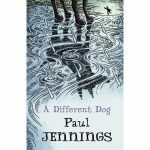 Kids Recent Release: A Different Boy by Paul Jennings. When Anton finds himself in a cruel orphanage, he takes his late father’s advice: ‘If you’ve got a bad deal… get out of it and move on.’ So Anton does just that, and manages to escape and hide on an ocean liner. Desperate and afraid, Anton is beginning to lose hope when he meets two other passengers with secrets of their own. Will they be able to help each other, or will they sink into misfortune? Paul Jennings, Australia’s master of the trick ending, will keep you guessing until the last page. 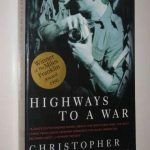 Tasmanian Classic: Highways to a War by Christopher Koch. Winner of the 1996 Miles Franklin Award, Highways to a War tells the story of Mike Langford, a war photographer with a reputation for risk taking, who has disappeared in Cambodia. His friend, Ray Barton, travels to Cambodia in search of Mike. The search reveals what drew Mike to war, insight into his personal life and fierce loyalties, and his love for a young Cambodian woman which has transformed this foreign struggle a personal one. Highways to a War is a deeply evocative and absorbing story of love and heroism, set against a striking Cambodian landscape. 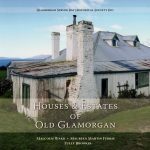 Tasmanian Recent Release: Houses and Estates of Old Glamorgan by Malcom Ward, Maureen Martin Ferris and Tully Brookes. Tasmania’s East Coast features some enchanting architecture dating back to the 1820’s. This fantastic book traces the history of twenty-five of the regions homesteads, taking the reader on an architectural journey to Gala Estate, Mayfield, Lizdillon, Cranbrook House and others, describing in detail the stories of their construction, design and use today, as well as providing key information on the owners who made them into homes, and where they are in the present day.